These days we tend to associate the term RSVP with Facebook, where “yes” means “maybe,” “maybe” means “no,” and “no” means “How do I know you, again?” But there was once a time—before you could invite 500 of your closest friends to a party with a single click—when an RSVP held significant social weight. If you received a dinner party invitation that had those four letters printed neatly at the bottom of the card, failing to reply was at your own social peril. R.S.V.P. 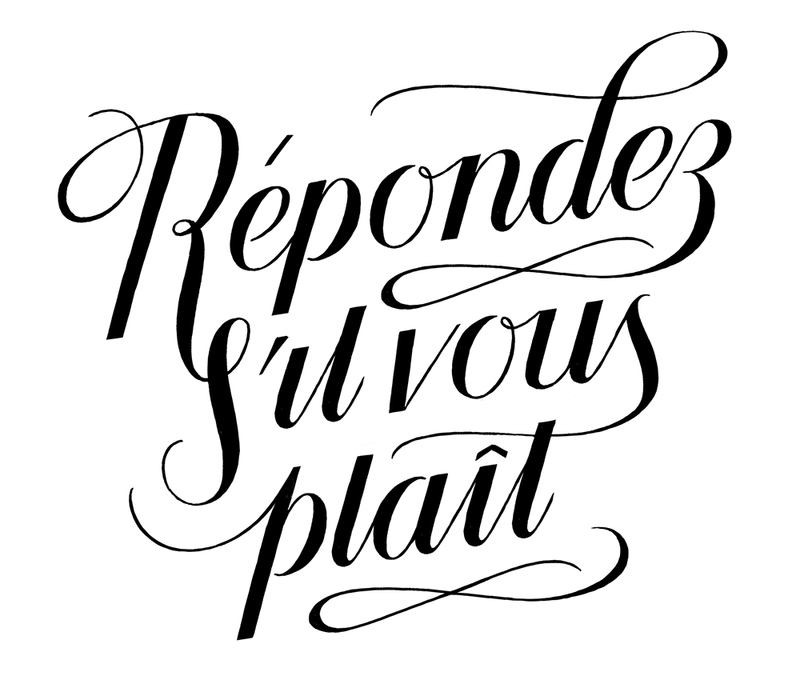 is an abbreviation of the phrase répondez s’il vous plaît, or “reply, if it pleases you” (colloquially understood by the French as an imperative, not an option). As with so many other French figures of speech, it was imported into English in the 1800s by socialites and social climbers in their eternal pursuit of classiness. Its use quickly became de rigueur; etiquette maven Emily Post was so adamant about its importance that she gave her opinion on how to capitalize and punctuate it: “Capitals ‘R.S.V.P.’ are permissible; but fastidious people prefer ‘R.s.v.p.’” Rightly noted, Ms. Post! In today’s world of lax decorum, an RSVP might not earn the respect it used to, but don’t let s’il vous plaît fool you: good manners still require a reply. Any time you are invited to any event, whether it’s a formal wedding invitation or a casual birthday party invitation, that instructs you to RSVP, be sure to call, write, email, or respond on Paperless Post to let the host know if you’re attending or not. If “regrets only” is added, tell the host if you can’t make it—otherwise, you are expected to attend. Obviously this all can get a bit confusing for both host and guests, so it’s good to be prepared. A save the date is a great way to give guests a heads-up to keep their calendar clear for important events like weddings, anniversary parties, or milestone birthdays.